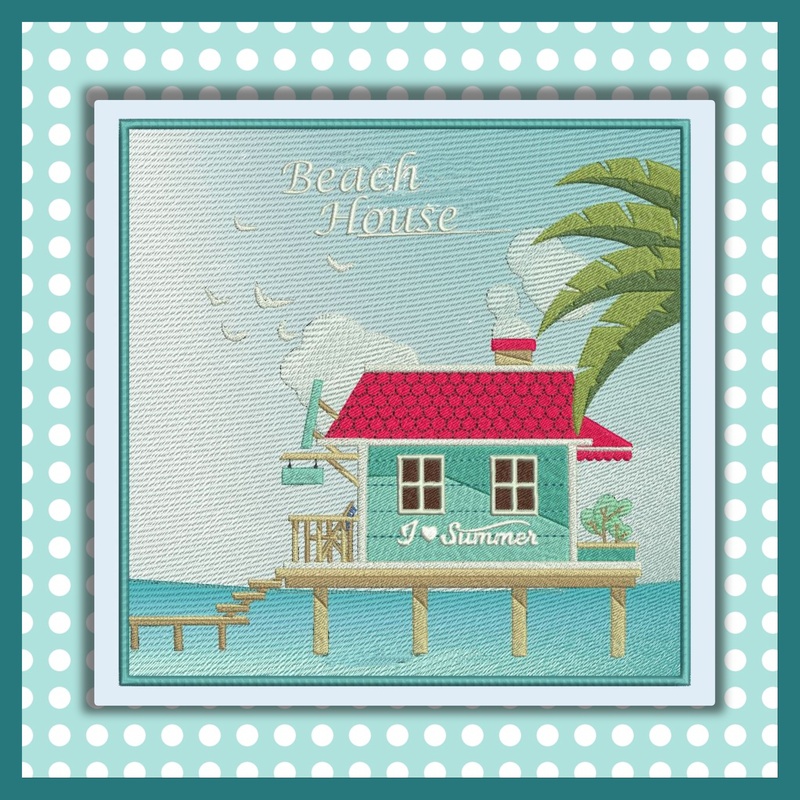 Fun Summer Beach Hut so pretty for wall hangings or towels and more.. Beautiful for door hanger or table decor for summer time. 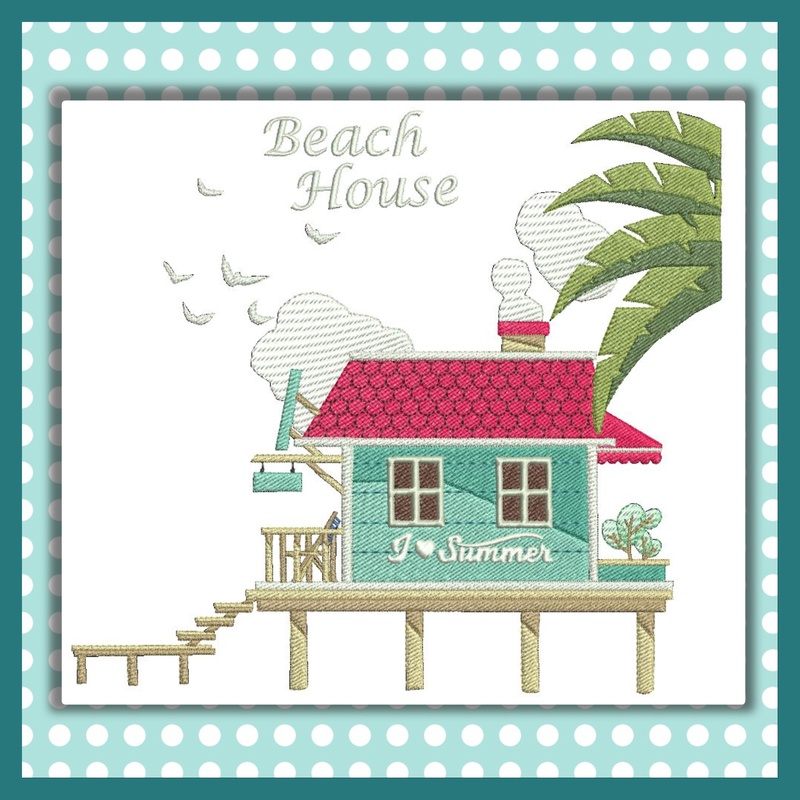 A customer asked me for a Beach Hut was a great idea I think. 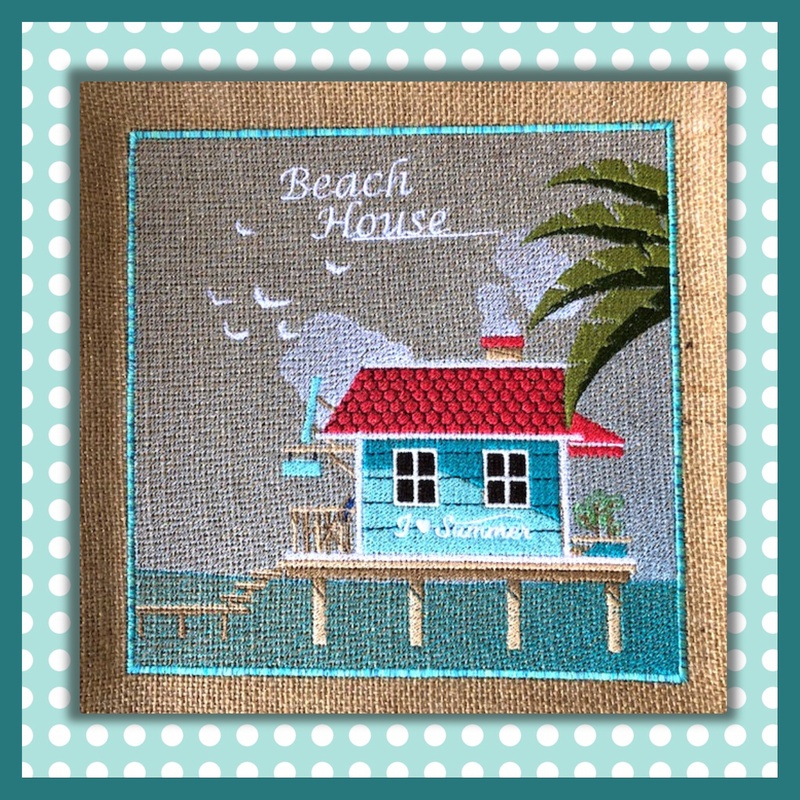 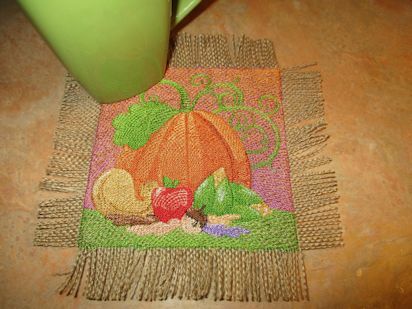 Stitched mine on glitter burlap and going to frame it for my bathroom..